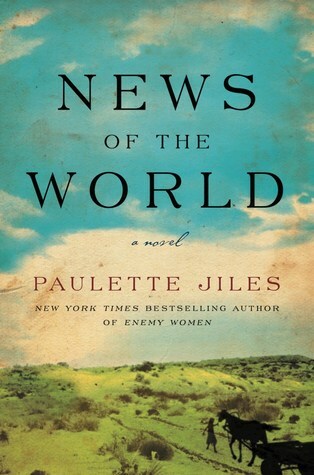 In News of the World by Paulette Jiles, a 71-year-old veteran of three wars (1812, the Mexican War, and the Civil War) has found a niche for himself, traveling through the isolated Texas countryside to bring the latest news to small towns. Captain Kidd schedules readings of newspapers and, charging ten cents a head, makes a living more or less. After a reading in Wichita Falls, he is approached by an acquaintance and asked to deliver a ten-year-old girl to her family in San Antonio. Her aunt and uncle have offered a fifty-dollar gold piece for her return. Abducted by the Kiowa at age six, Johanna Leonberger witnessed the slaying of her parents and siblings. However, she no longer remembers anything but her adopted Kiowa family and her Kiowa ways. She is terrified and withdrawn. Captain Kidd doesn’t want the job. The girl is wild and desperate to return to the Kiowa. The journey is long and treacherous. But he’s a good man and knows that she is better off in his care than anyone else’s, so he takes on the task. 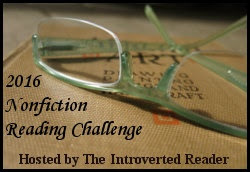 The novel follows their journey, during which they slowly learn to trust one another. Captain Kidd risks his life for her more than once, and she understands this and reciprocates by attempting to learn to speak English and behave as he tells her she must. His empathy for her situation is heart-warming. Stylistically, the book took some time to adjust to. All dialogue is reported--there are no quotation marks--which is annoying at first. But eventually the story fits the style. The beauty of the language shines through. The journey comes to an end, of course, and Captain Kidd must decide between his duty to the law of the land and his duty to the child. While the plot arc is a bit predictable, the story is emotionally compelling and it is well worth the time to travel along with these artfully rendered characters. I like cozy historical mysteries, and one of my favorite series is the Kurland St. Mary Mysteries by Catherine Lloyd. The most recent release is Death Comes to the School. Lucy (now Lady Kurland) and her husband, Sir Robert, have been married for three years. (It is 1820, in the small English village Kurland St. Mary.) It’s been three years since they’ve had a mystery to solve. They have been going about doing the things that landed gentry do and are well regarded by the people of their village. Unfortunately, all is not well between them. Lucy has miscarried twice and is confused and miserable. 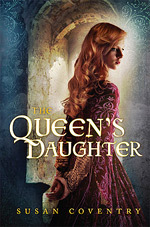 She is not used to "failing" and feels she has failed at marriage and heir-producing. Robert is at his wit’s end trying to figure out how to behave towards her. Moreover, the pain in his injured leg is back, making him miserable as well. Communication has all but broken down between them, which puts them almost back at square one in their relationship. It is Christmastime. Lucy has been occupying herself with plans for a village party and ball, as well as some matchmaking on the side. But it isn’t enough to keep her thoughts from returning to the miscarriages, especially since people keep asking after her health. And then, the recently-hired school teacher is found dead at her desk, stabbed in the neck. The woman was universally disliked, with no apparent family or friends. But she had no particular enemies either. In addition, nasty unsigned notes are turning up all over the village. Lucy and Robert feel the two things must be connected, but are at a loss for how to connect them. As always, the two go about collecting clues while dealing with their own problems, managing the affairs of town, and helping friends and family. In this book, the relationship is primary with the mystery a bit in the background. 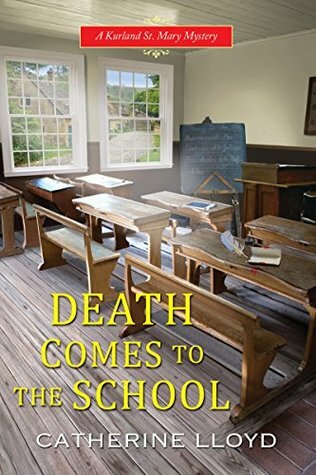 It is intriguing and the plot holds together well, but I was more concerned with how Lucy and Robert would resolve their differences that with who killed the school teacher. The series continues to charm. This novel could probably stand alone, but to truly appreciate the story start with book one, Death Comes to the Village. Laura Shapiro is a journalist/food historian whose latest book, What She Ate, is a culinary biography of six very different women. 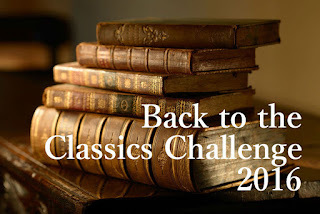 Shapiro looks at the lives of Dorothy Wordsworth, Rosa Lewis, Eleanor Roosevelt, Eva Braun, Barbara Pym, and Helen Gurley Brown by examining their writings and what is written about them to see how food and cooking influenced their lives and work. The premise is that we can better understand these women by understanding their relationship to food. It’s a unique presentation, written in clear, sympathetic prose. 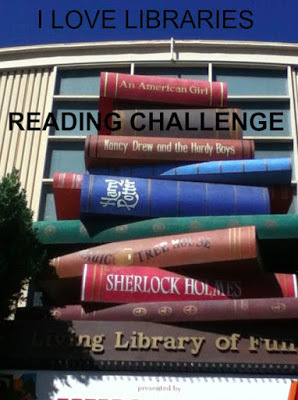 I’d never heard of Dorothy Wordsworth or Rosa Lewis, so their chapters were particularly interesting. As biographies, the short chapters are merely introductions, but the approach taken by Shapiro manages to pack a lot of information into small packages. 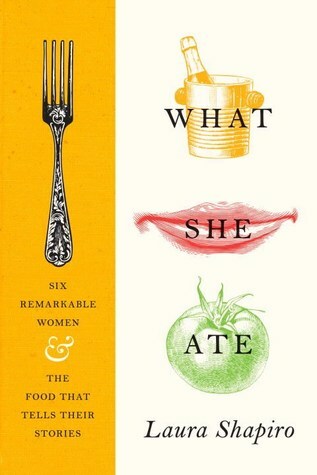 And she succeeds in showing the centrality of food–cooking it, eating it, and writing about it– for each of the women. An enjoyable read! 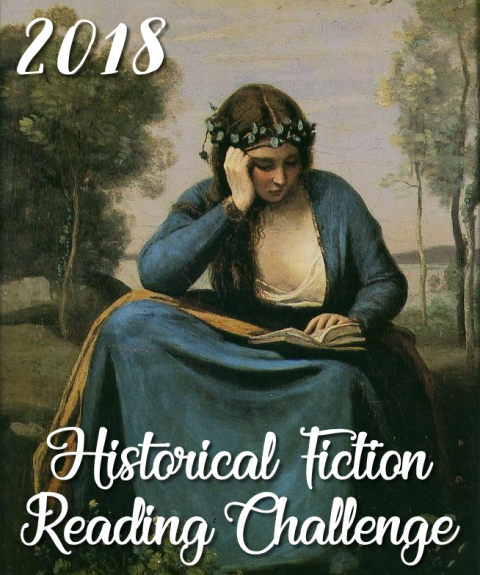 I’ve been hooked on the Blake and Avery historical mystery series ever since my book group read The Strangler Vine by M.J. Carter. The second novel, The Infidel Stain, was quite different but just as wonderful. 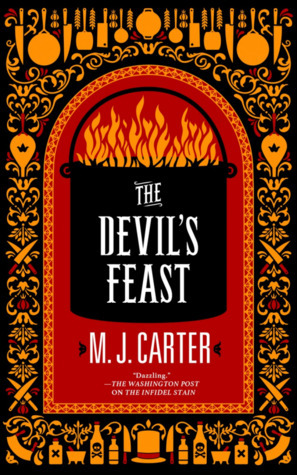 Now, in The Devil’s Feast, the narrator/naive sidekick--Captain William Avery--is forced to play an even larger role since Jeremiah Blake has been thrown into debtors’ prison on a trumped up charge. Avery is not quite the brilliant hard-boiled detective that Blake is, but he’s learning. After visiting Blake in prison, Avery dines at the Reform Club. The Club not only is renowned for its lavish menus and famous chef, but is also where Matty (a girl who aided the detecting duo in the previous book) has found a job that takes her off the streets. Avery is as anxious to see Matty again as he is to sample the cuisine. Unfortunately, after a sumptuous feast, one of Avery’s fellow diners is taken ill and dies a gruesome death. The following day, Avery is recruited by members of the Club’s board to investigate. The victim was poisoned. Within the restaurant and the chef’s circle of acquaintances, Avery finds a whole host of unsatisfactory suspects. He has no idea how to proceed. His reputation for this kind of work is almost wholly the result of his partnership with Blake. Nevertheless, he goes about collecting as much information as he can. The plot moves along with a slow, steady build, picking up steam when Avery and Blake are reunited once more. The setting revolves around the dining room with its lush descriptions of the gourmet food. The stakes are raised as an upcoming diplomatic dinner with important political implications is threatened by the possibility of another poisoning. Kitchen intrigues and professional rivalries heat up as accusations fly and corruption is unmasked. Sorting it all to find a poisoner before it’s too late is a daunting task. The partnership between the once-idealistic Avery and chronically cynical Blake is as enjoyable in Book Three as it was in Book One. This book could probably stand alone, but I recommend reading them in order. My book group’s next assignment is Hero of the Empire. 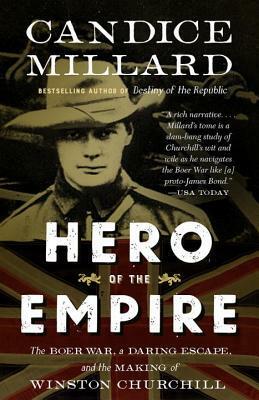 The Boer War, a Daring Escape, and the Making of Winston Churchill by Candice Millard. I was very happy with the choice since this book has been on my to-be-read list for a while. I was impressed with Destiny of the Republic and now am also going to have to read River of Doubt. As the title suggests, this is the story of Churchill’s imprisonment during the Boer War and the remarkable escape that catapulted him to fame and jump-started his political career. It’s a fascinating, fast-paced read, chock-full of history that I didn’t know but should. While Churchill comes across as a rather insufferable young man, his courage, intelligence, and extraordinary good luck vindicate his high opinion of himself. The book not only informs the reader about the early career and adventures of this future prime minister, but also provides a very readable, short and clear explanation of the Boer War, the reasons for it and the major players. Well-researched, organized, and engaging, this book is highly recommended. 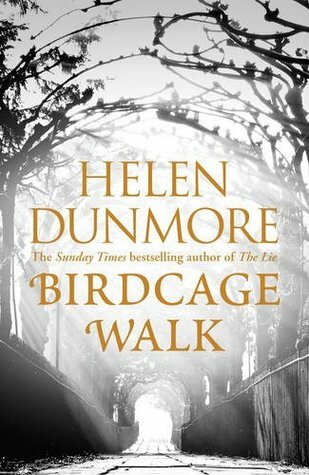 Birdcage Walk by Helen Dunmore is an unusual book. A historical novel that is melancholy, gothic, and tense, it is introduced with an old-fashioned historical note, followed by a contemporary prelude in which a middle-aged widower out walking his dog comes across a ruined tombstone in a bedraggled old graveyard. He is intrigued by the inscription and attempts to discover the story behind it. The stone was put up in 1793, dedicated to a Julia Elizabeth Fawkes, whose writings, according to the dedication, were much admired. The widower’s attempt is thwarted by a paucity of information. This is the segue into a story that is actually about Julia’s daughter, Lizzie. The widower never reappears. Although the introduction seemed a bit clunky at first, it does emphasize the author’s point about historical voices, particularly women’s voices, being lost to us. Lizzie is the daughter of an early feminist radical. Lizzie loves her mother, barely tolerates her stepfather, and has bonded with her mother’s sole servant, Hannah, who helped raise her. However, Lizzie is no longer a child, though she remains as innocent as one. She falls in love with and marries a builder/property developer, Diner Tredevant. The book blurb emphasizes the historical and political aspects of the novel. It is set during the time of the French Revolution. However, the characters are located in England and all news from abroad is second hand. The political upheaval is background for the novel and never rises to primary importance. Lizzie’s mother’s radical circle believes in the goals of the Revolution yet they are distressed, to varying degrees, by the violence. Ripples, primarily economic, affect Lizzie and her husband. With war impending, no one will buy Diner’s luxury homes. The plot centers on the relationship between Lizzie and Diner. It is clear from the book’s opening chapters that Diner is a dangerous man. Their marriage is a claustrophobic one. Lizzie remains devoted to her family even as Diner tries pulling her away. As his development project fails (and it seemed doomed to fail even before the French troubles sapped the economy further), he becomes gloomier and scarier. Trapped and increasingly isolated, Lizzie doesn’t know all that the reader knows, so there is a constant undercurrent of suspense. Dunmore’s writing is lovely and the plot moves at a steady pace, building to a frightening climax. I couldn’t guess which way the story would go. I requested the book based on the blurb, and while the book does not deliver exactly what the blurb promises, what it does deliver is even better.